Beautiful! 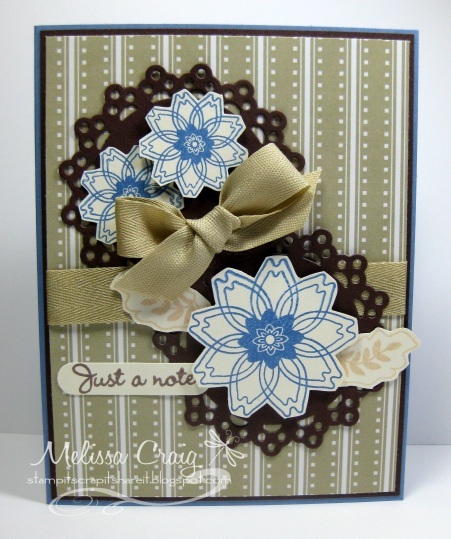 That twill bow is so rich looking, and the simple stamped flowers look great against the brown die cuts. As much as I love bright color, this is really my kind of card. Love the brown doilies behind the flowers and the over color scheme!